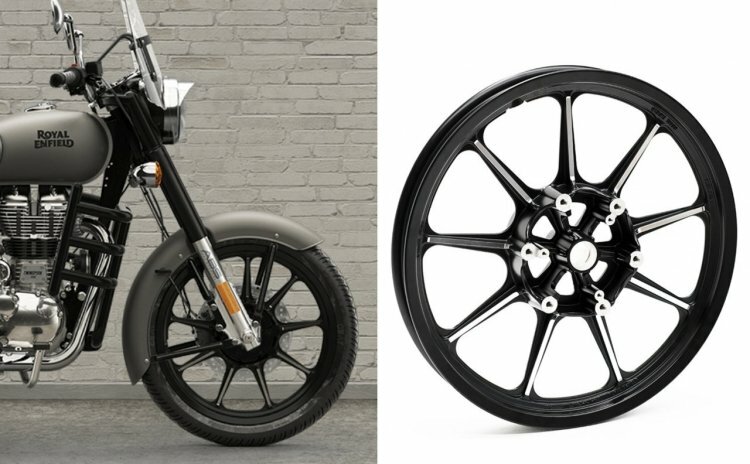 Royal Enfield has announced the availability and prices of alloy wheels for the Classic and Thunderbird range. Royal Enfield has announced alloy wheels for the Classic (pictured) and the Thunderbird range of motorcycles. The Thunderbird 350X and 500X were launched with alloy wheels. The black 9-spoke cast alloy wheels have been listed on the company’s website. The silver accents on the spokes add a retro look to the package. The wheels are compatible with the original tyres, tubes and brakes of the Classic and Thunderbird range. The alloy wheels bring the convenience of tubeless tyres that are far easier to fix in case of a puncture than a tube tyre. 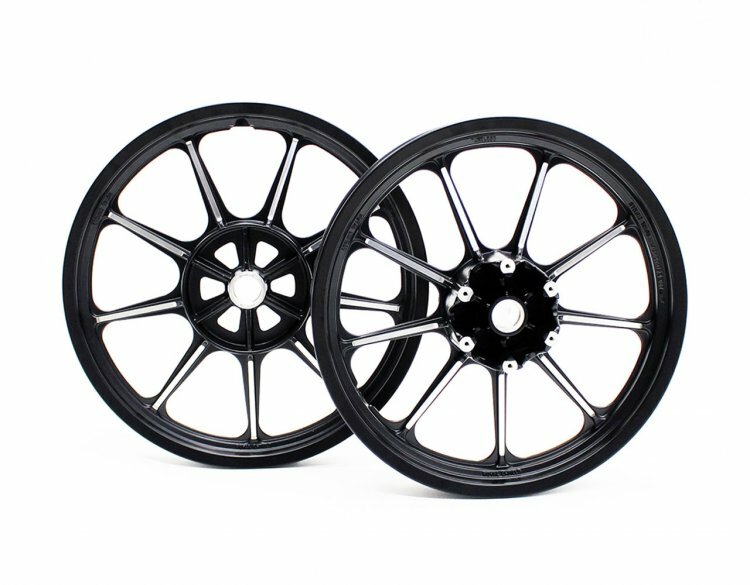 The wheels come with a two-year warranty and are compatible with Classic 350, Classic 500, Thunderbird 350 and the Thunderbird 500. It should be noted that the Thunderbird X 350, Thunderbird X 500 already received alloy wheels right from the launch. As the wheels are compatible with the Classic and the Thunderbird range, the front is a 19-inch unit while at the rear is an 18-inch unit. The set has been priced at INR 10,000 while the labour charges and taxes would cost you extra. The installation of alloy wheels on the Classic and Thunderbird motorcycles could take up to 105 minutes. The addition of alloy wheels would affect the weight marginally although the exact numbers are not available. The optional alloy wheels have been priced at INR 10,000 while the labour and taxes would cost the buyers extra. The wheels, compatible with Classic and Thunderbird range, are available in 19-inch front and 18-inch rear sizes. The alloy wheels are not compatible with the Interceptor INT 650 and the Continental GT 650. Royal Enfield should announce a new set of alloys that would match the 650 Twins very soon. In fact, the Motorcycle Configuration page already lists optional wheels for the Interceptor INT 650 and the Continental GT 650. Expect the alloy wheels for the 650 Twins to arrive in the same price range as the units for Classic and Thunderbird range.